We know the application process for Dallas ISD’s specialty schools can get confusing. So we’re holding nine specialty school application workshops to help make the process a little less stressful. All workshops are from 6-8 PM. You can fill out the application on-site, and representatives will be on-hand to answer questions and help with the process. Certain programs require specific paperwork or information, including a report card, proof of residence or household income. 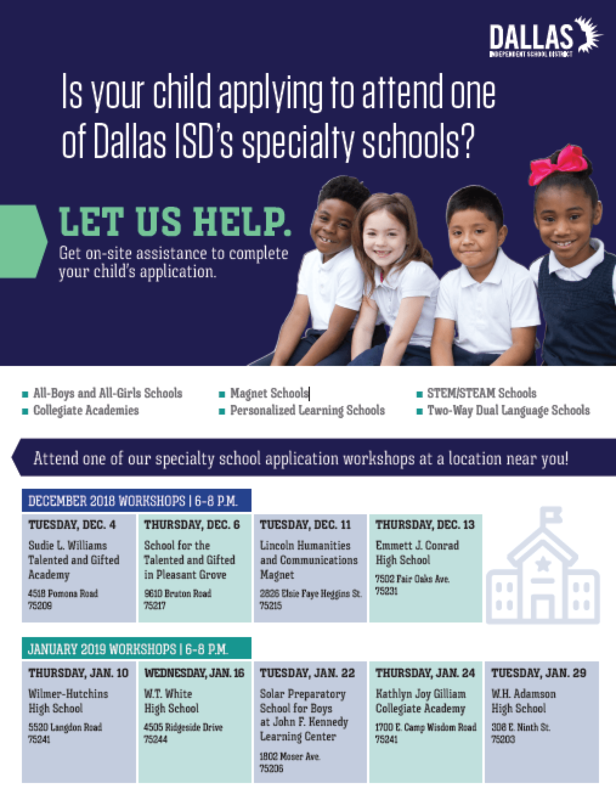 To make sure you have all of the information to complete the applications for the schools your child is interested in, please visit www.dallasisd.org/yourchoices.